Welcome! 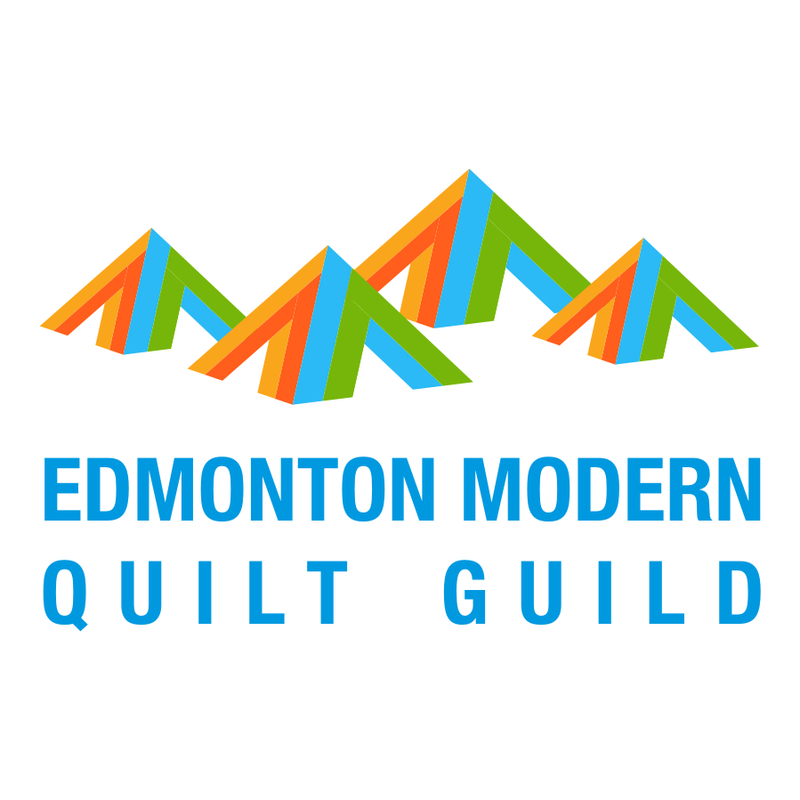 If you are new here, I'm Leanne, I live in Alberta, Canada and I blog about quilting. I hope you will poke around and get to know me a little, maybe by checking out the My Quilts page here. I'll show off a few of them here for you too. For Sew Mama Sew's Giveaway Day I have that beautiful bundle of 11 fat quarters of fabrics from Doe and Architextures both designed by Carolyn Freidlander. I purchased the bundle from Daryl over at Fabric Spark and she is holding it to ship it off to the winner for me anywhere in the world, as soon as the draw is done. I have to tell you that these fabrics are even better in person. Surprisingly they are available in Canada (and the U.K.) early and I have a bunch of my own already. To enter to win, please leave me one comment only. I'm hoping for some time to relax over the holidays, so please share with me an idea for a new book to read or a movie or TV show to watch, or maybe your favourite music for me to load on my iphone. I will leave the giveaway open until 10:00 pm. MST on Friday December 12, 2014 and I'll announce the randomly drawn winner on Saturday the 13th. Leave me a way to find you. If you don't have a email connected to your commenter profile, leave your email in your comment. If I cannot find you, I will draw another winner. I won't be responding to the comments but please know that I will be checking out your suggestions and I thank you for sharing them with me. Sew Mama Sew's Giveaway Day is on all week, so you will want to visit back there often to enter new giveaways as they are entered. 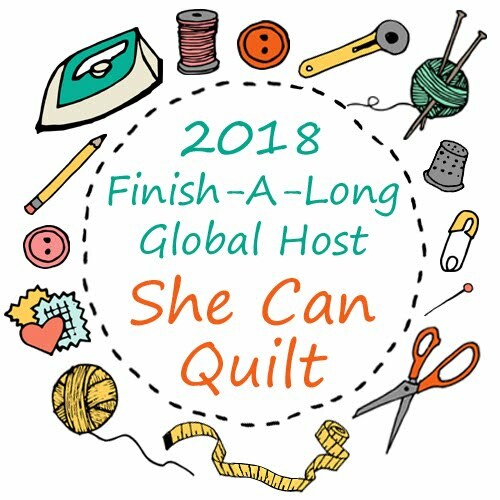 And feel free to come back to check here on Tuesday (tomorrow) to join Nicky from Mrs. Sew and Sow and I for the December the Scraptastic Tuesday link too, there are fantastic prizes for it too. love your quilts. I recommend a book called "the Burning Bed" by Michael Connelly it is a Harry Bosch book #19 but they are all stand alone books you don't have to read the previous 18 to like it! if you do like it though you might want to go back and read the earlier books. I would recommend The Pillars of the Earth as a great read. I just watched Scott and Bailey on Netflix -- a British cop show with two woman as the lead characters. Thanks for a chance to win! I just love your Snowfall quilt (among others)! The bundle you selected is fantastic. Thanks! I'm a giant geek, so I've been watching Arrow and The Flash. I've also been listening to I Am Spock, by Leonard Nimoy. Just discovered the music of Winnie Williams. She is wonderful and I highly recommend a listen! Your chosen bundle, by the way, amazing! I love The First Phone Call from Heaven by Mitch Albom or any of his books really. I also love Jodi Picoult and Nicholas Sparks. They touch your heart and make you think about life and how you live it. I have really been enjoying reading Outlander. I know it's a bit older, but I just stumbled across it. The Orphan Train by Christina Baker Kline was intriguing. If you appreciate children and families you will love it. It's historical fiction. Her research was impeccable. Deep Survival by Laurence Gonzales is a good book-with stories of people who survived life threatening situations. Definitely watch Community! It's one of my favorite shows ever. 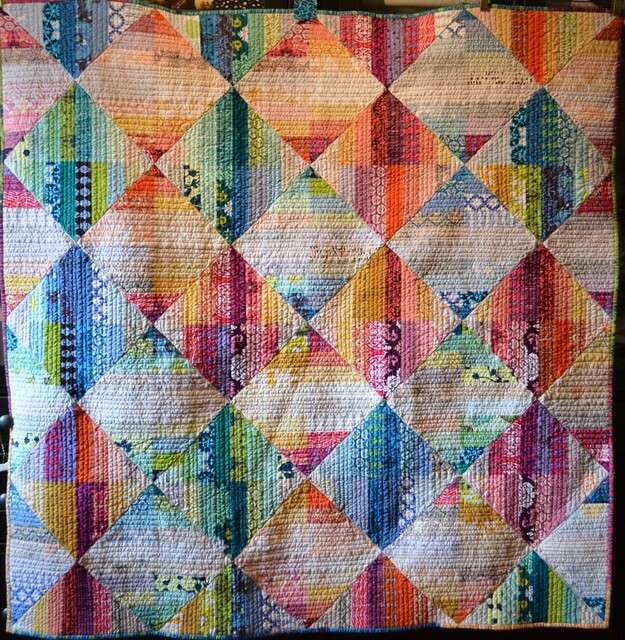 Your matchstick quilting is amazing! I've been on a quilt & cook book kick lately, so I don't have a good recommendation for fiction, but for music: give a listen to Boy & Bear. Thanks for the chance! Super bundle. Watch the movie '100 foot journey' - based on a book but haven't read that yet to be able to recommend. But LOVE the movie! I love the outlander series. Be ready to be a cult follower! Diana Gabaldon is an amazing writer! If you have not seen it I would highly recommend going on line and watching the full first season of How to get away with Murder. How about a hot cup of tea and Yo Yo Ma's cello suites? I love the TV series Elementary - Sherlock Holmes and Watson is Lucy Liu. Thanks for the chance to win these fabrics. I love British tv, especially mystery series like New Tricks, Scott & Bailey and the like. I like to watch (listen) to them as I sew. Thanks for a generous giveaway! It is not a new bok but I just found it in german. The title in english is: The light behind the windows. Just loved to read it. I loved reading 'The Elegance of the Hedgehog'. If you haven't read Gone Girl yet, I highly recommend it! It's been out for awhile, but I just finished it last week and it had me glued to the pages. The movie just came out about a month ago, so read the book, then see the flick! One of my favorite movies is Benny and Joone....a heartwarming family story. If you like court room mysteries with lots of twists and turns try the books by Marcia Clark. Another author who writes so you can't put it down is Lisa Scottoline. She also writes a humor column because she misses Erma Bombeck. These columns have been made into books, the first one was Why My Third Husband Will Be a Dog. She calls her exes Thing One and Thing Two. I love Chris Tomlin's new Christmas Album especially the song - On Hallowed Ground - Emmanuel! Happy Valley from Netflicks....I have just found your blog and am enjoying it very much! Try the Inspector Gamache novels set in Canada - a great series. Great giveaway! We have been watching through the Marvel: Agents of Shield TV show lately. It starts off very poorly, but it gets better. My daughter and I recently read "The Orphan Train" - it's one of the latest Newbery books, I think from 2013. There are some good ones in the 2015 batch, too - The Doll Bones, One Came Home both come to mind. I like Scorpion- a new series for the fall. My favorite books to read are old childrens stories, Peter Pan, The wizard of oz, and even Grimms Fairy tales. Your quilts are amazing! I just finished reading All The Light We Cannot See by Anthony Doerr...one of the best books I've read all year. I read my first Longmire book recently and enjoyed it, but JoJo Moyes Me After You was a really fun read. I would recommend the movieThe Hundred-Foot Journey, a fun watch for the holidays. Love the giveaway, really keeping my fingers crossed for this one!! 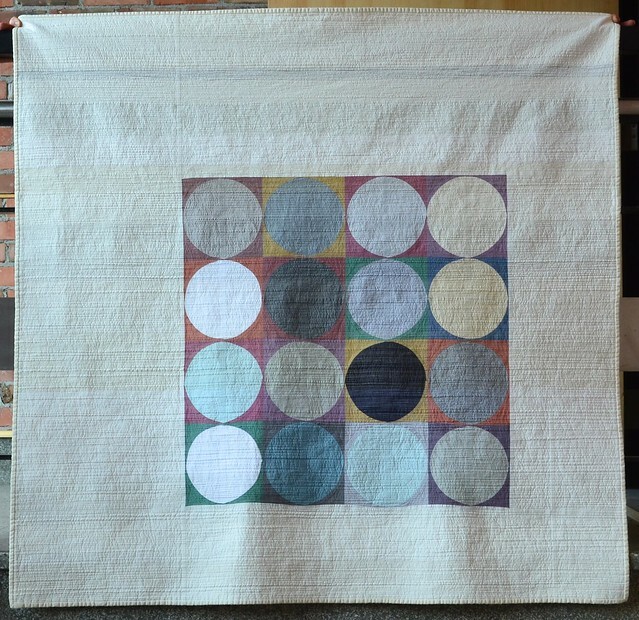 I'm a huge fan of your quilts "Breathe", "Cycles", "Cycles 2" and "Snowfall" and am trying to work up the courage to try to sew something similar myself - I've never sewn circles before! Of the books I've read recently, I recommend "The Rosie Project" by Graeme Simsion. I really like the show Selfie. At first glance it looks really lame but is actually very charming! Sarah Waters' The Paying Guests! I would recommend Gretel and the Dark by Eliza Granville. You will love it. I recommend watching The Hundred Foot Journey - it's wonderful!! The Rosie Project. The Art Forger. Where'd you Go, Bernadette. I'd recommend reading the mystery series by Louise Penny, starting with Still Life. Or watching Doc Martin on public television. I love series like Silent Witness and Waking the Dead. Thanks for the giveaway. When I want to sit and do nothing (all day!) it's definitely watching The 10th Kingdom. I know I am late to the game, but I am currently loving the Game of Thrones books. I just finished Gray Mountain by John Grisham. Very generous! We couldn't get enough of "Foyle's War" earlier this year. as far as music, i will shamelessly promote my husband's band, the features (their albums are on spotify if you'd like to check them out). Gorgeous fabrics. I follow your blog and love your quilts. Water for Elephants would be my choice, it is a fabulous read. A good book - The Boys in the Boat. It`s about the 1936 US Olympic rowing team. I`m not done yet, but it`s a great read. And not sure if it`s your kind of music, but David Wesley (a Canadian!) has some great a capella music. If you want to watch something cute and light, go for Jane the Virgin, a new tv show I watch through hulu.com. (No regular tv at our place.) Thanks for the giveaway! I really enjoyed Gone Girl. The book. Haven't seen the movie but I'm such a book nerd I probably won't. Lol. Have a great Holiday season and thanks for the chance to win. I'm in love with that bundle. I'm currently listening to the audiobook At Home by bill Bryson. So interesting. Have you read "Beautiful Ruins" by Jess Walters? It's hard to put down. I'm hooked on Pandora's Indie Holidays station these days! Thanks for the opportunity to win. I am a huge Masterpiece theater fan. Downton Abby and Sherlock are some of my favorites. Thanks for the chance to win the beautiful Doe fabric - I am in love with that line! Over the holidays, going to read some Maisie Dobbs mysteries, and catch up on some Downtown Abbey before the new season. When it comes to relaxing in front of the box I either go for period drams or something crime related. As a big Sherlock fan I recently discovered reruns of Elementary which I really enjoyed. Having already seen the latest series od Downtown I've got the Christmas episode to look forward to over the holidays along with the last series of Dr Who which I've been keeping till then. Thanks for a great giveaway. I'd recommend Louise Penny's series about Inspector Gamache. The novels are all set in Quebec. You don't need to start with the first one of the series, but I would suggest that you do. Love that bundle. To reach my special place, I listen to Josh Turner on my IPod...LOVE his voice and music. Thank you for this giveaway! If you have lot of peaceful time I recommend Hilary Mantel's Wolf Hall. Ive been reading a scary book by Steven King, I don't normally ready scary stuff because im a big chicken. I love your triangle quilt you posted a pic of that is so beautiful! Thanks for the chance at an awesome giveaway!! I'm currently watching Gilmore Girls on Netflix and I love the show! Very relaxing to watch at the end of the day. My favorite book is The Elegance of the Hedgehog by Muriel Barbery, in my opinion that is the greatest book, ever! My husband and I just finished watching the British show Broadchurch on DVD and it was so great. This is kind of an older title, but such a great book: Nop's Trials by Donald Mccaig. Oh, let's see... I can make a bunch of recommendations! If you haven't already watched them, I've been watching a couple of series on Netflix. (I'm not sure if you have it in Canada, but you could always watch them on DVD or something else...) Heartland (A Canadian show, as I'm sure you know.) and Gilmore Girls. Books: The Outlander series by Diana Gabaldon ~The absolute best story and characters EVER! Just be warned that you won't get much done until you've finished the book! Plus, there's a new Starz mini-series/show based on the book that's been shockingly good. It really sticks to the story line. Also, The Light Between Oceans by ML Stedman. ~AMAZING! I love Once Upon a Time and Vampire Diaries if I'm going to binge watch a series!! Fargo (the miniseries) was a good watch. The original movie is great, too. I'm looking forward to reading a book I have had or a while that a client gave me called "The Road"
I just watched Elf, it's still funny. Missing 411 books - Thanks for the giveaway! Thank you for the giveaway and for sharing your wonderful quilts. My favorite all time movie is Pride & Predujice by A&E. Your quilts are stunning. Really. Wow. I recently zipped right through Where Did You Go, Bernadette? by Marie Semple. Funny and well written. Page turner! A friend turned me on to Bojack Horseman on Netflix. It's one season of a cartoon, and definitely not for everyone, but if it's your kind of thing, it's the best. 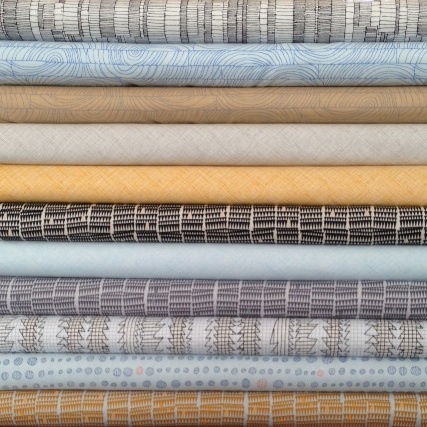 All of Carolyn's fabric designs are fabulous, and Doe is no exception! I'm currently binge-watching The Good Wife, and I'm hooked, so I highly recommend it! Your quilts are truly beautiful! Thanks for the giveaway. I read lots of mysteries and suspense on my tablet. I borrow books form the online library. Movies? action! Waiting to see Guardians of the Galaxy (3-D movie for xmas for husband). Lovely giveaway,thank you for the chance to win it.Book thief Markus Zusak,Shadow of the wind Carlos Ruiz Zafon and for the movies Avatar.Have a great week. I really loved The Little Bookstore of Big Stone Gap. Great book! Just love the new Doe line. I just finished reading The Language of Flowers and it was one of the best books that I've read in a while. I would recommend the movie Nebraska! Thanks! I just started watching Once Upon a Time and am loving it! Do you listen to podcasts? I love Stuff You Should Know and Serial. Check out Step Dogs on netflix...its terrible and awesome all at the same time. I'm not a big reader but checking with hubby and he suggests Gone Girl or Big Little Lies. Love the bundle. The reason I'm not a reader is I read all of Agatha Christie's books when expecting. The night Circus by Erin Morgenstern is amazing! Wow Leanne you are so kind, I would be delighted to win this! How about any books by Michael Ondaatje? I love his work. I really love the silly TV show Nashville. You can totally binge watch it on amazon right now and it's fun! Thanks. Karen Kingsbury's Redemption series is sooooo good! I just binge watched Misfits in hulu - it's a little violent though. The Living Great Lakes: Searching for the Heart of the Inland Seas by award-winning Michigan author Jerry Dennis. It was a reading together book for our community. I learned so much about the great lakes. Read anything by Jodi Piccoult. I just finished the All Souls trilogy by Deborah Harkness and all three books were great! I binge-watched Call the Midwife on Netflix this weekend and LOVED it! I just rewatched all three seasons of Veronica Mars - I think there are also books based on the series. I really enjoyed "the 100 year old man who climbed out the window and disappeared" by Jonas Jonasson. It starts off reasonably slowly but I got really drawn into. A soft gentle humour. Oh Doe! It's in the wild! I'm nearly finished with a ten part tv show called Gracepoint (based on an English show called Broadchurch), and I am loving it! It's a detective mystery, but full of odd characters and wonderful acting. Highly recommended! Can't wait to get my hands on some Doe. I just started watching Orange is the New Black and I'm really liking it so far. I watch while I sew. I love to read anything by James Patterson. His books staring Alex Cross are murder mysteries and will keep you in suspense. You can't put them down. Thank you so much for your giveaway. I just downloaded Pentatonix's two Christmas CDs and am loving them!!! I am singing like crazy and probably driving the neighbours nuts!! Oh, I would be so glad to have them. Try on YouTube: Anna and the Barbies: Márti dala. Though it is in Hungarian, the music is also really good, I think (Starts with "You have to start living, thus you will be able to talk about it...."). Thanks for the chance. I love your choice of colors. Recently I read, "What Alice Forgot" by L Moriarty (sp). I enjoyed it so much I read every one of her other books. They don't have to be read in any order as they are all sepaprate subjects. We are really in to Call the Midwife on Netflix. Great show. I am a big kids movie fan and I saw big hero 6 in theaters and it was hilarious. The whole theater was cracking up during the movie. I only read mysteries, so I doubt you would be impressed, I have awful taste in Tv, but my favorite shoe is NCIS and there are years of it available to watch. Just started Serial the podcost. Free and I love it! Oh- try listening to The Piano Guys! Favorite movie this time of year is love actually. Hope you enjoy it. Did you listen to U2's last album? I love it (even when I usually don't like U2). Books... have you read "The girl who played with fire" by Stieg Larsson? I really enjoyed it. Thanks for the giveaway, have a nice holiday! Happy Monday to you Leanne. My favorite show in the past few months is West Wing on Netflix. I just couldn't get enough of it. Merry Christmas to you. I am really enjoying your blog posts - keep them coming, pls! I'm a fan of PBS, so anything Masterpiece, Call the Midwife, Mr. Selfridge, Midsomer murders; there's a lot of these series on Netflix too. 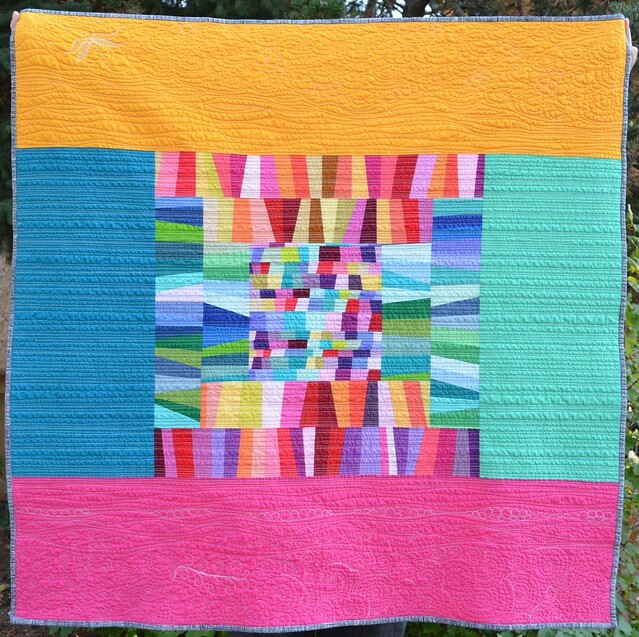 Gorgeous solids quilt - I love the quilting! My go-to veg out TV is Masterpiece Theatre! (If you don't have it in Canada through PBS, maybe you can get it through the BBC?) I love Downton Abbey, Sherlock, Inspector Lewis, Endeavor, Mr. Selfridge, and The Paradise. Great stories and great acting - you can't go wrong! Music: Rufus Wainwright. Perhaps not immediately accessible at first listen, but persevere! I think he's brilliant! i've been crazy about Ed Sheeran's album X and Pentatonix too- love their sound. Lately I've been enjoying the goofy cop show Forever (starring an immortal medical examiner). The entire Gamache series by Canadian author Louise Penny is terrific, as are the two JK Rowling books written under the pseudonym Robert Galbraith. I read Jodi Picoult's newest book recently (Leavng Time) and thought it was really good. I just finished reading The Glass Kitchen. Fun! Thanks for the giveaway! I got a fun movie to watch from the library. It was called Crazy, Stupid Love. It's a good romantic comedy. Thanks for the chance to win. What a lovely giveaway. When my daughter was off school ill a couple of weeks ago we watched our way through the entire series of Pride and Prejudice, with Colin Firth as Mr Darcy, (in my case probably for about the fourth time). Highly recommended, especially with a glass of wine or a large bar of chocolate. your quilts really are inspiring!! i suggest listening to the podcast "Serial" - i have been telling all my friends about it and its so good! i listen to that and my weekly dose of modern sewciety! Cheryl Srayed, author of Wild graduated from the small northern Minnesota school I taught at for 35 years. I enjoyed the book and the movie gets released this month! I think you would enjoy "The Orphan Train". I haven't read a book in a long time and don't go to movies. I do enjoy having tv on while I sew. My favorite shows are Big Bang Theory, Criminal Minds and NCIS. I love the quilting done on your quilts. Thanks for the giveaway. I've been watching Castle lately. And one of my favorite books is Fugitive Pieces. Prancer, a cute holiday movie to make you smile. This time of year we like to snuggle in the living room with a fire and watch sappy Christmas movies on Halmark and UPtv. We usually go to bed giggling at ourselves for blubbering like babies. I caught up on 5 seasons of The Walking Dead within 3 weeks, it's addictive, although maybe not something to watch over Christmas lol! I have been rewatching Call the Midwife. If you haven't checked it out yet, I highly recommend it! Your work is just stunning!! I can recommend the "Outlander" books by Diana Gabaldon as I am rereading them again after seeing the TV series recently as I realised how much I had forgotten. I often enjoy listening to MOOC lectures while quilting. The next session of the UofA's Dino 101: Dinosaur Paleobiology course starts in a few weeks on Coursera. Have you read the stories associated with the blocks in the farmers wife quilt book? I love Alexander McCall Smith's series, The #1 Ladies Detective Agency. Beautiful quilts! If you haven't read Sandra Dallas I recommend all her books. I didn't see my post show up, so I'm going to try it again. Have to recommend Robert Galbraith (aka JK Rowling) as a must read. 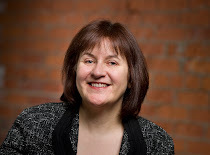 She has written two adult suspense novels, Cuckoo Calling and Silkworm, that just proves what a terrific writer she is for all ages. I just started following your blog a couple months ago and was really inspired by your scrap boxes in your last post. Love how your gray scale quilt is coming together - that is my next to do. I recommend Orphan Train, a very interesting Minnesota based historical fiction. Thanks for the chance. I recently watched the movie "In a World..." on Netflix and loved it. Your quilts are beautiful and truly striking! 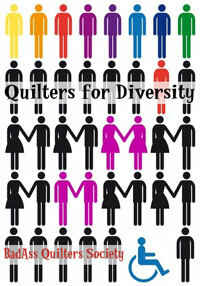 I especially love All the Colours and the Muse quilts!!! Your giveaway bundle is lovely. I hope I'll be your lucky winner! The best new TV program I've encountered in a long while is Madame Secretary with Tea Leoni and Bebe Neuworth. It's intelligent and entertaining. Merry Christmas to you and your loved ones! My favourite music for totally relaxing 'me time' - and that means no small people around to interrupt! - is old choral music. Tallis or palestrina - probably quite niche, but a definite love for me! We've been watching Mr. Selfridge on Netflix. It's loosely based in fact. I love looking at the fashion. I loved the hats and slim long skirts and coats of the era. Thanks for this very generous giveaway. I love these fabrics. Thanks for sharing your lovely quilts. I just saw the movie Austenland on one of the movie channels & it was so much fun to watch. My local library has it on DVD so it's not a new film & may be available at your local library too. And thanks for the chance to win. HELLO, maybe you'd like Yo Yo Ma's cello suites with a hot chocolate by the Christmas Tree! Thanks for sharing! MERRY CHRISTMAS ! Dan Brown's books are good and I love to watch American TV shows like "Person Of Interest"
Best music I can recommend is Pentatonix--they are fantastic. Loooove them. I LOVE this rang of fabric. I've really enjoyed the first two seasons and the other night I watched a three part series called Prey which was good. I recommend reading anything by Rebecca Solnit. Beautiful quilts, Leanne! And a generous giveaway! My recommendation for an entertaining movie would be, The Great Seduction! Quite possibly it appeals a lot to those of us with east coast humour, but I think it is universally hilarious! Enjoy your holidays! I loved the book The Narrow Road to the Deep North. Read Olive Kitteridge or watch it on HBO, really good. I like the band First Aid Kit. Game of Thrones on HBO is a great series. If you haven't read it, Gone Girl by Gillian Flynn is one of the most captivating books I've ever read...I'm also really enjoying music by Pentatonix right now:) Have a relaxing Holiday time! the series by Jean Aule The Clan of The Cave Bear are a good series of books. I enjoy The Piano Guys music for quilt time listening. Need some extra of that this time of year.